First, we look at plans. A patio, perhaps. Some decking, maybe? 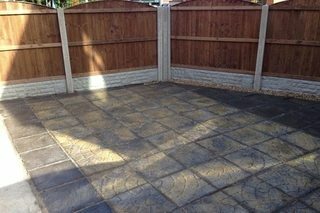 Laying paving stones or flag stones to create a stylish path. Turf installation and where to lay it. And what about a small pond with a water feature? Whether it’s a small garden landscaping or something grander, we can come up with some great ideas. Long before we plant the flowers and shrubs, we know how the colours will change with the seasons. So, summer or winter, spring or autumn, your garden will look beautiful. Once you approve, we set about planting. To ensure privacy, we can install wooden fencing, build a stone wall or plant a hedge of privet, hazel, box, laurel, hawthorn, lavender or yew. Some fast growing (lots of trimming needed) or slower growing for sturdiness and density. Landscape gardening prices can vary depending on the type of landscape gardening design ideas that are put into place. If you would like to know more then you can contact us on 01942 367170 for more details. Our lawn care service includes mowing and edging; we will also clear away the grass clippings. We will apply lawn feeds and the appropriate weed killers so, in time, it looks beautifully manicured. We offer hedge trimming and we will dispose of the clippings. If there are brambles spoiling the look, we will clear them. 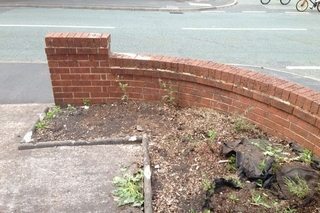 And if there are unsightly gaps, our planting hedges service will restore its good looks. We offer topiary services to give your garden character and layering to thicken the hedge (not suitable for all types of hedge). If your home is on a slope, some gardens get soggy with excessive rainwater. We can create a garden drainage system so you do not have to wear gumboots or wellingtons! We will create a vegetable patch complete with cold frames for seedlings. Or plant fruit trees: apples, pears, cherries, raspberries …. We can make yours a Garden of Eden! We not only build green houses or assemble them from flat packs, we can also maintain the greenhouse itself and its contents. If you are looking for a landscape gardening quote from us then please call us asap on 01942 367170 and we will happily advise you further about your landscape gardening contract.